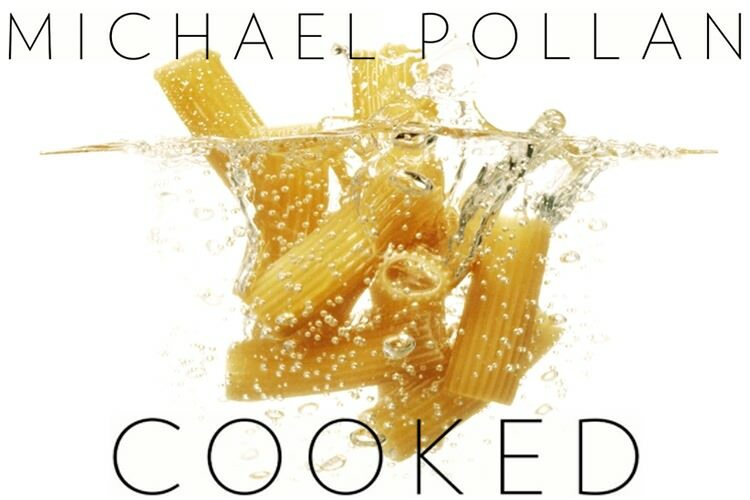 So far, I am really enjoying Michael Pollan’s Cooked. It is an interesting blend of a memoir, field research, philosophy and history. I’m sure there is more, but I’m still reading about authentic barbeque during the first section on FIRE. 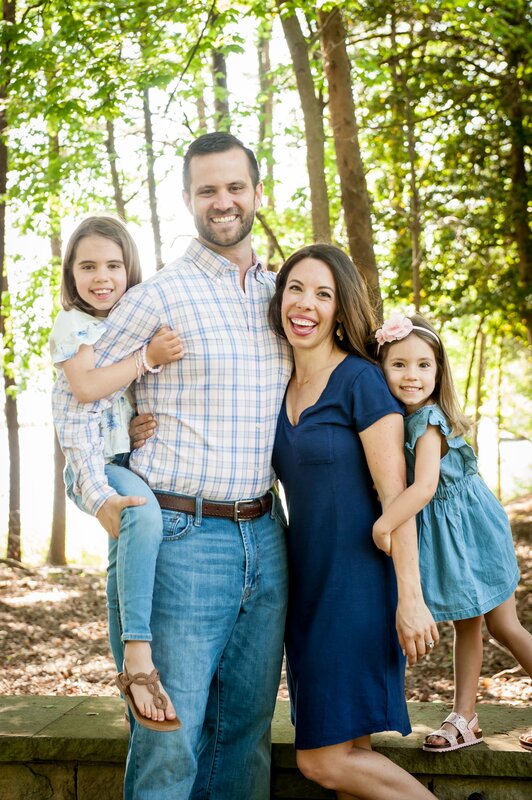 It has left me with a desire to learn more about ways I cook my food and also a desire to chow down on some real pit BBQ at Skylight Inn in Ayden, North Carolina, which is one location Pollan went to study the art of whole hog barbeque. He certainly is detailed in his writing, which may leave some to feel certain parts are longwinded, but honestly, I’ve really enjoyed it. The book connects cooking to our humanness and explains what a central roll the act of cooking food has played in our development as a species. The book has brought up a few interesting facts, such as half of women on an all raw food diet stop menstruating, and how the development of cooked food allowed humans to grow larger brains now that all their energy wasn’t focused in their stomachs trying to digest raw matter. He dives into why cooking has fallen by the wayside in our everyday lives, but is escalating in interest in television and books. He touches on the popular excuse that people have about not cooking; the why bother school of thought. He says many people find it more beneficial to work an extra hour and then grab food from a restaurant, letting each person focus on what they do best. Though he discusses it at some length, one quote in the section stood out to me. Specialization is undeniably a powerful social and economic force and yet it is also debilitating. It breeds helplessness, dependence and ignorance and eventually it undermines any sense of responsibility. Clearly this discussion point could go deeper than a simply should I cook or not, but as a general fan of specialization for economic growth, I found this statement struck a chord in my passion for being self sufficient as a family unit. Specialization undoubtedly has its benefits, but at what point are we trusting others too much? Do restaurants really know how to cook food best, or, like much of the food industry, is their goal more financially based? Aren’t they largely focused on serving customers food that tastes good to keep them coming back and spending more money? Would they choose the higher quality ingredients or would they opt for higher margins? When we take on cooking for ourselves, the process begins before we start chopping in the kitchen. We take more care in choosing the ingredients, learning their origins, and transforming the raw ingredients into nourishment for ourselves and our families. I think my strong feelings towards cooking embody my desire to take care of my family. Just like my Nannie always offers and urges us to get second helpings, food is one medium for showing people you love them and want to take care of them. However, as with everything, there is always more to the story. I know people in today’s world have true obstacles for not cooking all meals from scratch, myself included. Also, one could argue that to truly make meals with integrity and take on the responsibility I spoke of before that you should also grow your own food and raise your own meat. Despite how much I long for a farm some days, how realistic is that? Pollan certainly doesn’t argue that those extremes are necessary, but he does presents facts and ideas about our human ties to cooking that make me think. I’m a quarter of the way through the book, but already I feel as though a fire has been lit under me to learn more about food, cooking and why I feel so strongly about them. Thank you for letting me share my thoughts on Cooked so far! Has a book ever made you look more closely at the food you eat? I will have to check out that book. I usually steer clear of food books as I don’t like to know all the deets of what I am cooking or eating…ha-ha. I read on another review of this book that Pollan puts some blame on working women for the decrease in home cooking. Have you come across that attitude in this book? Hm, I haven’t felt that yet. However he does point out that cooking at home has slowed down since women entered the workforce, but that that in itself is definitely not a bad thing. I certainly don’t feel he put blame on women. He actually raises the question as to why women are seen as having to be responsible for cooking. Maybe I need to go back and read that section, but I didn’t feel any blame come across. I do not think that I have had any books affect my food choices much, but several documentaries have, including “Forks Over Knives” and “Vegucated.” Right now, “Vegucated” can be viewed for free on Hulu. It is a great watch :). Interesting ideas. The Kind Diet made me more closely examine my food choices, but I have to admit, it didn’t make me actually change anything. Tiff @ Love, Sweat, & Beers recently posted..Date Night… on Monday? It definitely sounds like an interesting read. I also enjoyed reading ‘The Omnivore’s Dilemma’ (also by Michael Pollan). I appreciate that Pollan generally isn’t preachy in his writing, and does just make you think about things that, in my case, I hadn’t give much thought. I agree. I like Pollan because he doesn’t come across preachy, but he always makes me think. I can’t believe I’be never read the Omnivore’s Dilemma. I definitely want to go back and read it. I started with In Defense of Food. Love Michael Pollan! I was thisclose to seeing him speak at the Free Library of Philadelphia on Friday but decided not to go since I was really sick. Now I’m regretting that decision. 🙁 I’m currently reading Cooked too but haven’t gotten very far- only get about 10-15 minutes of reading before bed and then I pass out! Interesting point of view!!! I read most of wheat belly and honestly have basically removed wheat from my diet since. It kind of freaked me out and just struck a chord with me when reading it. I would say the book that really kick-started changing my view on how I eat was Barbara Kingsolver’s Animal Vegetable Mineral. I read another article recently tha was somewhat calling Bittman out for blaming our society’s loss of home-cooking/healthy food culture on feminism, or basically women working outside the home. (Mom hung up her apron, got a job, and microwaved a pizza for dinner.) Interesting perspective that hadn’t occured to me before! I got my copy last week but haven’t dug into it yet… I’m currently reading “The Table Comes First” (really interesting perspective on the history and larger significance behind our interest in food), and need to finish it before I start in on “Cooked”. I’m really interested in this whole idea of “why we cook,” and would love to hear more about your thoughts on why you, personally make the choice to cook. I can’t say that a book has made me change the way I eat. For me, it was the documentary ‘Food Inc.’ About half way through, I decided to become a vegetarian. And in all fairness, I had been thinking about it at the time but hadn’t taken action yet. Long story! But it’s been almost 3 years and I’m still going strong! After making that decision, I’ve read several books about the food industry, and each one has reaffirmed my decision. 🙂 But as I like to say, to each his/her own. There’s no one right way to eat – we have to do what works for us. 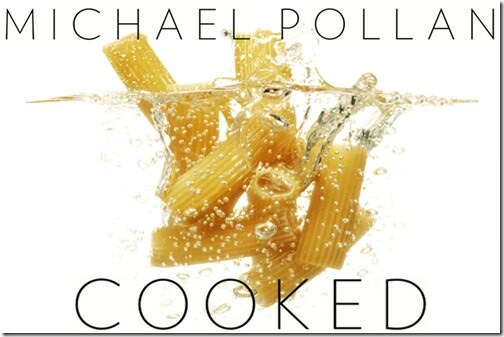 I love Michael Pollan and am so glad you think so positively of Cooked so far! It’s definitely on my summer reading list. This is how I felt when I first ready In Defense of Food – it really inspired me to learn more about what I’m eating and what I should be putting into my body. Thanks for sharing! Kim @ Racing Bananas recently posted..Let’s Talk Chia Seeds – Recipe & More! The book Fit to Live was really great…I’m reading Jillian Michaels’ new book Slim for Life right now and I really love it so far. I need to read some books by Michael Pollan! I hear so many great things about them.